After our blog of last week, we again like to share some experiences and numbers with you. It can’t be emphasize enough that with a relatively small investment required to host a ZUPlab, many results can be reached, not only in the short run but moreover in a longer period after the ZUPlab. 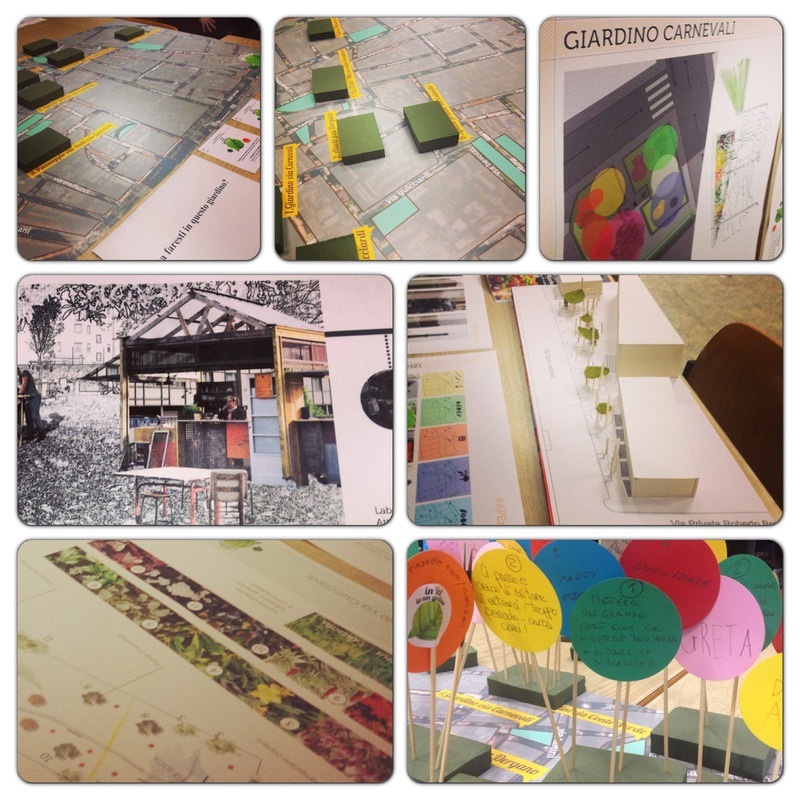 This time we will discuss the Giardino Carnevali, a garden (giardino in Italian) again in the Dergano/Bovisa area in Milan, Italy that until not long ago was used as an illegal waste dump. In March 2012, a year after the ZUPfest, we started the works on this garden that is situated in the middle of an housing area. During the first event, a concert of percussionists attracted 150 persons that were – in a positive way – amazed, curious and perplex of the activities that suddenly took place on their doorstep. With a relatively simple intervention (a concert, that thanks to its noise make its own publicity), we reached our first goal: attract people that usually only complain but never undertake action to make things change. As promised, we will treat you with some numbers that might give you a clearer idea of the output and outcome of this one activity. As the process is still ongoing, we will concentrate on the period between November 2012 and November 2013. In this year ZUP organized eight events of participation, was involved with the organization of the meetings and smaller activities, had a role as secretary and coordinated the group of volunteers. In total, we involved 600 people, with other good results of people that followed the process via the social networks (1500) and in the journals (600.000). Thanks to this publicity we were enabled to also open-up new networks interested in the ZUP projects. But all these numbers do not mean anything if it was just temporary. To demonstrate the long term impact we like to share that until November 2013 there were 10 active volunteers, we involved 4 merchants that do business around the garden (on top off the 15 already involved during the ZUPfest of 2011) and also the network of entrepreneurs of the closeby Via Tartini, got the patronage of the local government, are connected to the network of associations and committees in Dergano and closeby neighbourhoods. As you might have understood, ZUP did not only have the intention to make in order the once dismissed garden. Even more importantly was (and still is) to generate possibilities and to progressively ‘feed’ people’s interest and their participation in order to involve them in the search for solutions for a transformation process that goes way behind the gates of the garden. At this moment, a group of 10 volunteers and the network has already generated new activities. Soon it will have its own ‘brand’ (development coordinated by Giardino Carnevali, thanks to the collaboration of Annalinda de Rosa, designer at the Politecnico Milano) that will grow independently of the ZUP brand. In the coming months ZUP will slowly move away from the project and leave it all to the people that, thanks to the intervention of ZUP, discovered the potential they and the group they form part of, has to start and accompany a process of change. This whole process we followed in Giardino Carnevali has resulted in a new item on our ZUP menu, namely ZUPcultivation, that…….. To find out more about the menu, consult the brochure that you can download here.